At Sunday night's Pearl Jam concert at Xcel Energy Center in St. Paul, Minnesota, fans came to see Eddie Vedder and his band. But Vedder felt that it was another person who deserved the spotlight. Vedder introduced the audience to Dr. Jakub Tolar, a University of Minnesota doctor who leads the university's research into rare genetic disorders, including epidermolysis bullosa. EB is a condition in which layers of children's skin don't anchor together properly, leading to massive, painful blistering. The University of Minnesota's Stem Cell Institute, led by Tolar, has done groundbreaking work to treat the condition. In video posted by the St. Paul Pioneer Press newspaper, Vedder told the crowd that he and bandmate Stone Gossard were given a tour of the university's facilities, and he wanted to return the favor by giving Tolar a tour of his facilities — meaning the Xcel stage. Acknowledging that he and Vedder had very different career paths, Tolar told the crowd, "What we both do is give people hope." The University of Minnesota Masonic Children's Hospital also tweeted a photo of Vedder visiting with young patients, and University president Eric Kaler noted that Vedder's attention only confirmed that Tolar "is a lifesaving rock star." Vedder also met with patients backstage. "It's about the most insane skin disorder you could imagine," Vedder says in a video about the condition. "And when you realize it also affects the internal organs, you see it as diabolical." The singer co-founded the non-profit EB Research Partnership, which raises funds to help find a cure. 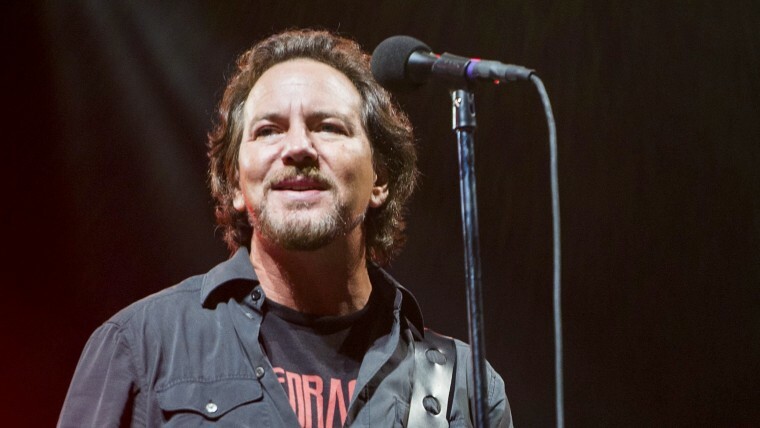 During the Xcel concert, Vedder changed the lyrics of Pearl Jam's 1994 hit "Corduroy" to relate to his support for curing the condition. And to honor a 7-year-old EB patient Mikey Fullmer, who made a wristband out of his gauze bandages and gave it to Vedder, the band's WishList Foundation gave out similar wristbands to concertgoers and encouraged them to post photos of the bands on social media. "Listen, guys, you should all give money so we can cure EB forever," Fullmer says in the video. "And please do, or else EB won't be cured forever." Follow Gael Fashingbauer Cooper on Google+.